Touch Devices Should Not Be Judged By Their Size — Media queries aren’t always enough when designing for touch screens, but a new Interaction Media spec can help by detecting pointing device and hover capabilities. Google's Accelerated Mobile Pages Now Accounts for 7% of Traffic to Big US Publishers — According to data released by Adobe Analytics, Accelerated Mobile Pages (AMP) now accounts for a significant and growing portion of traffic to major publishers. 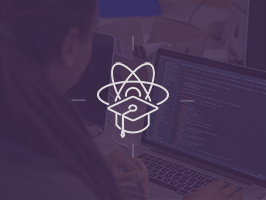 Learn to develop your next web or mobile application with ReactJS — Register for Rangle’s free React online course for developers on March 31. The second of a three-part series, this course is designed for developers interested in diving into the React library. How to Build Your Own Progressive Image Loader — A handy technique for progressive image loading to provide the best performance in your hybrid mobile apps. Why I Love Element Queries and You Should Too — What makes element queries powerful and how you can get started using them with the EQCSS plugin. Nokia’s 3310 Returns to Life As A Modern Classic — Basic web use is achieved via the bundled Opera Mini browser, running over a 2.5G connection. Great Alternatives to Hamburger Menus — How to make your navigation obvious and keep people engaged. Sneak Preview of NativeScript 3.0 — Georgi Atanasov gives us a sneak preview of NativeScript 3.0, due out in mid-April. Introduction to Ionic 2 — A look at what’s new and changed between Ionic 1 and 2 and whether you should choose Ionic 2 for your project. Ionic Split Pane Component — An in-depth look at the split pane component recently released by Ionic. CSS Grid: Learning New Layout - Responsive — A quick comparison of the code necessary to create a grid with and without CSS Grid support. A Roundup of Vue.js-Supporting Mobile Hybrid App Frameworks — A roundup of hybrid mobile frameworks supporting Vue.js 2.0. Testing on Multiple Form factors — Maya-kai mirrors gestures and user interactions in React Native applications, making it useful for testing apps on devices with different screen sizes at the same time. Design a Perfect Search Box — How this element can be improved in order to save the user time in going where they want.